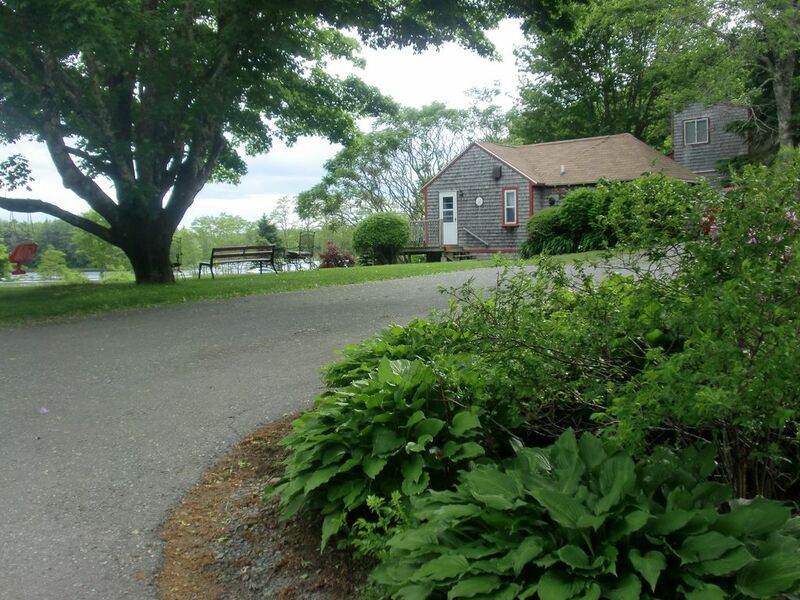 Ours is a private one bedroom cottage with a view of Hamilton Pond and Sargent Mountain. It has a Jotul gas fireplace, a fully equipped kitchen and a queen size bed. There is a large deck across the front with a gas grill and patio furniture. We are five miles from Bar Harbor and two miles from the entrance to Acadia National Park, and a short walk to the post office and Salisbury Cove. The kitchen is equipped with a refrigerator, stove, microwave, coffee maker and toaster, pots and pans, dishes, silverware and glasses. You will also find a color/cable TV and remote high speed Internet access Gas grill and patio furniture. Bedding and towels provided. Leave your car and take the island wide bus system. Take a tour bus through Acadia National Park. Go whale watching or on a nature cruise. Go golfing at one of the three island golf courses. Play miniature golf at Pirates Cove. Dine casually or formally at one of the many wonderful restaurants. Swim in one of the many fresh water ponds and lakes or try the cold ocean water at Sand Beach. Rent bikes or kayaks. Work out at the Y. Enjoy a band concert on the village green. We had such a lovely time at the Kelley's cottage! The house was perfect for a 5 day stay exploring Acadia national park and Bar Harbor on our honeymoon. Susan was very accommodating and checkin/checkout was a breeze. Would definitely stay here again on another trip up to Maine! A very comfortable and clean cottage for two. Sue and Mike are great people. We really enjoyed our stay in their cottage. We highly recommend this property. This property is in very good condition. It is big enough for a couple with adequate living room space and a large shared closet. The bed is very comfortable and there is plenty of drawer space in the bedroom. There is a laundry in the garage that guests can use.The only downside to the property is the bath--where the only bathing option is a "Tokyo-size" shower. Obese or large people will have trouble negotiating the shower. Thank you for taking the time to write a detailed review. It's good to know that you were happy with the size of the unit and the bed. I love your description of the "Tokyo-size" shower. It is small. My remedy for this fact is the hand held shower head. Replacing she shower itself would be pretty difficult without major reconstruction. We really liked Kelley's cottage. The cottage was clean, comfortable and there was plenty of room. We were on a quiet road that was close to Arcadia National Park and Bar Harbor downtown. Our host was super nice. Would definately stay again! We’re glad that you enjoyed your stay in the cottage and appreciate the kind review. We’re glad that you enjoyed the cottage and our beautiful island. Your kind review makes a great start to our twenty ninth rental season. We very much appreciate the condition that you left the cottage in. We loved our stay at Kelley's Cottage (for two). It was perfect for our Maine honeymoon. We loved the location just outside Bar Harbor and Acadia National Park since we did a lot of driving all around Mount Desert Isle, to Schoodic Peninsula and over to Bucksport and Belfast. The cottage was cute and comfortable. Mike and Sue were extremely friendly when I spoke with them when we first got to the Cottage. The property was beautiful with a nice view of the small pond across the road. It was great that the ocean was just down the road if you wanted to take a short walk to see it. As noted by others that stayed, there is noise from the road but we barely noticed it. We also loved that we could grill out at the Cottage and even cook our own fresh Maine lobster we brought from Hannaford's in Bar Harbor. We were so glad that we picked this Cottage over some of the tiny cabins that we saw at a few of the resorts just down the road, or in town where there were just way too many people for our liking. We would definitely stay here again and will be recommending to any friends/couples that consider vacationing near Bar Harbor. Thank you for taking the time to write a thorough review. It's great to hear that guests experience all of the island and the surrounding towns. We're blessed to live in such a beautiful place and love sharing it. From the Parkadia Exxon station at the head of the island follow Rt 3 for 4 1/4 miles to Salisbury Cove. The Old Bar Harbor Road is on the left and has a sign for the Biological Lab with a shark on it. My property is just after the Eden Baptist Church Parish Hall.